The Mix is Luton’s music education hub – schools and music organisations working together to provide the best possible music-making opportunities for young people in Luton. By working together, we can create better musical and life outcomes for all children and young people. Learn an instrument, make music with others, improve your musical skills, take part in concerts and other exciting musical experiences. Are you ready for a musical adventure? the chance to learn a musical instrument. It is great fun, and you can make friends when you join one of our many music centre groups. "Welcome to The Mix - Luton's music education hub"
Schools and music organisations working together to provide the best possible music-making opportunities for young people in Luton. 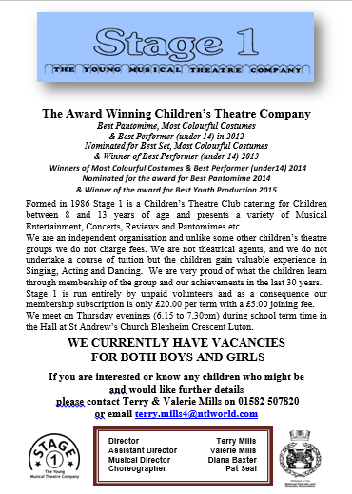 We want to inspire and support all children and young people to experience exciting, rewarding, varied and high quality progressive musical experiences, individually and with others. To achieve this, we create, deliver and promote opportunities for young people to make and learn music, improve and develop the quality of music education, and champion music education. 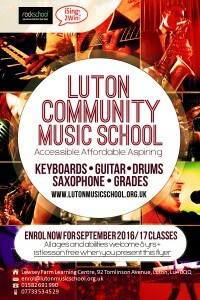 If you live in Luton or attend a school here, you have the chance to learn a musical instrument. It is great fun, and you can make friends when you join one of our many music centre groups. It really is a great ADVENTURE! 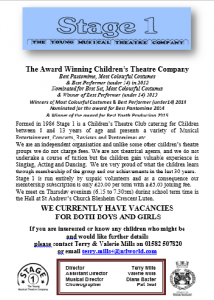 Would your son or daughter like to learn a musical instrument? Does he or she attend a Luton school? From May 2018, Luton Music Service will be recruiting pupils for lessons starting in September 2018. If you would like your son or daughter to be put on our waiting list, please send an email to lutonmusicservice@luton.gov.uk, including their name, school, current year group and preferred instrument/s. To find out more, please watch the above videos! 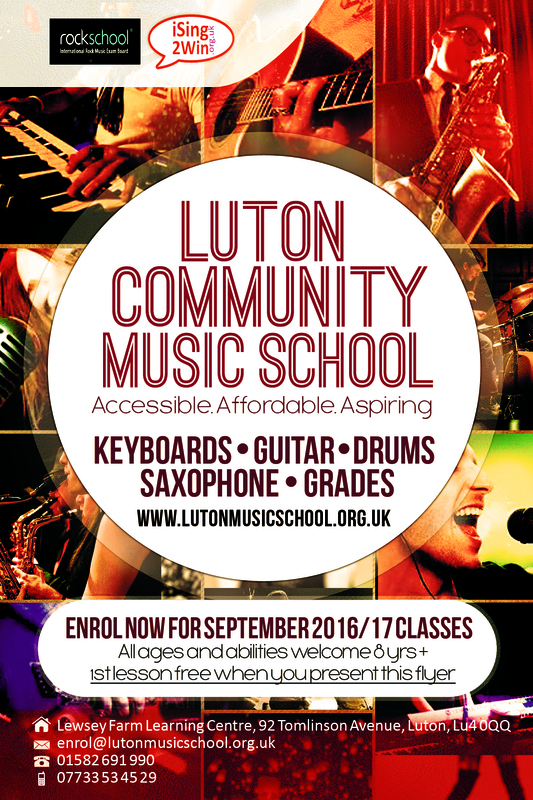 Alternatively, you can contact Luton Music Service on 01582 538232 or at lutonmusicservice@luton.gov.uk. Orchestras Live, City of London Sinfonia and Luton Music Service collaborated in a project called Side by Side, which culminated in a performance at UKCCA on 15 July 2016. Young musicians from Luton Music Service’s Saturday Music Centre and Icknield Primary School’s Hearing-Impaired Provision performed alongside professional musicians. 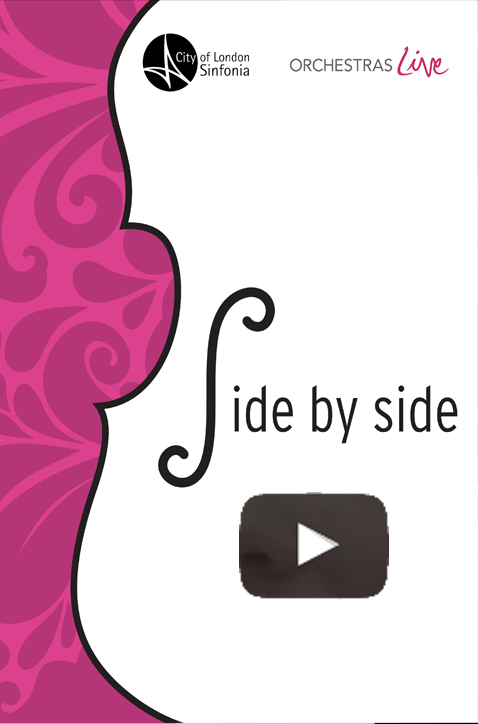 Click on the image above and read the Side by Side Evaluation Report to find out more.